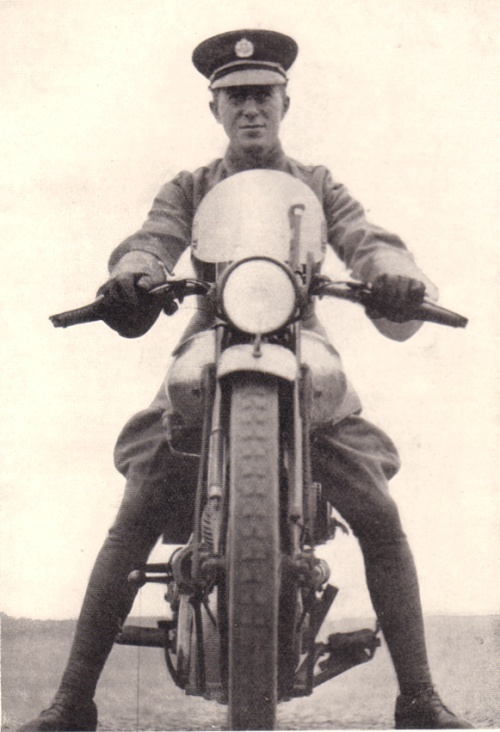 George Bernard Shaw, the famous British dramatist (Pygmalion, Saint Joan), was a personal friend of T. E. Lawrence and shared Lawrence's passion for motorcycles. He once gave a Brough Superior SS100 motorcycle to Lawrence. 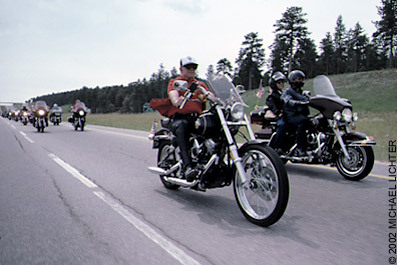 Malcolm Forbes became a motorcyclist late in life. But, as he did in all things, he took it up with a passion. He rode with a motorcycle club called the Capitalist Tools. His estate in New Jersey was a regular meeting place for tours that he organized for fellow New Jersey and New York motorcyclists. He had a stable of motorcycles but was partial to his Harley-Davidson machines. He rode in tours all over the USA and the world promoting motorcycling and capitalism wherever he went. He was known for his gift of Purple Passion, a Harley-Davidson, to actress Elizabeth Taylor. He was also instrumental in getting legislation passed to allow motorcycles on the cars-only Garden State Parkway in New Jersey. 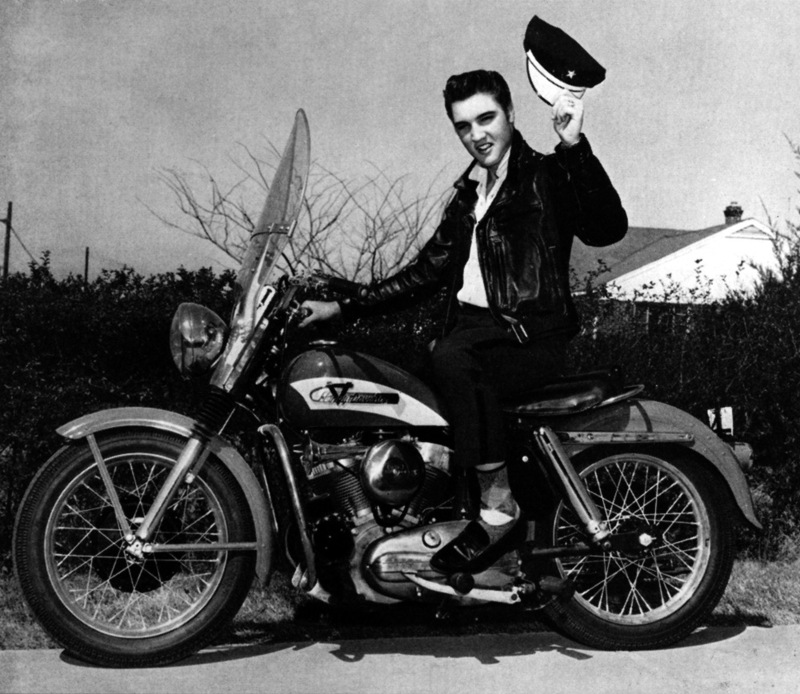 Elvis was a motorcyclist and appeared in several movies with a motorcycle theme such as Roustabout in 1964. Again, it's hard to find Internet references to this side of Elvis except a few auctions of his motorcycle memorabilia such as pictures of him astride one of his machines. Charles Lindbergh at one time was the most famous man in the world. His exploits in crossing the Atlantic made him an international hero. The famous Trial of the Century held in Flemington, New Jersey riveted the nation. Lindbergh was a private man in spite of his fame. 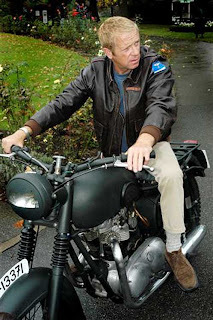 He was an aviator and also a motorcyclist. This latter fact is almost unknown. 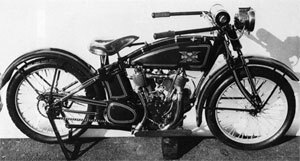 He favored the Excelsior Big-X motorcycles. 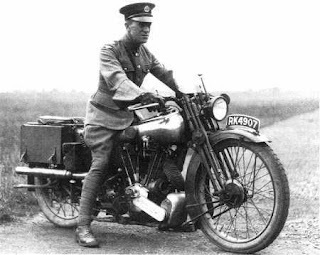 In my research concerning motorcycle movies, I began hearing stories about T. E. Lawrence. Never heard of him? Maybe you know him by his other name: Lawrence of Arabia. I'll have more to say about him later on. Reading about Lawrence got me thinking about other famous people who were also motorcyclists. I'm not going to talk about any living motorcyclists or about any motorcyclists who made their living in the world of motorcycles. I'm going to talk about world renowned people who just happened to also have a passion for motorcycles. I hear bits and pieces about famous motorcyclists from time to time. However, most famous people who ride don't seem to publicize it much. That makes it very difficult to track down any details about how they felt about their motorcycles. In the following I'll be mentioning some famous people who rode but sometimes, that's about all I can say. Their biographies just don't mention motorcycles. 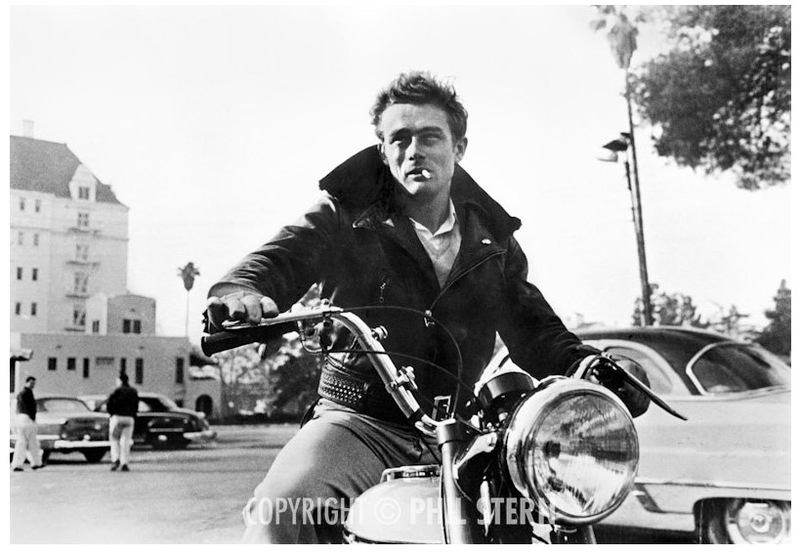 James Dean made only three movies before he was killed in a car crash. Dean loved motorcycles and fast cars. James Dean owned five cars and seven motorcycles in his short lifetime. The King of the Cowboys, Roy Rogers, was every kid's hero. Known for riding, roping, singing, and always getting the bad guy, Roy made countless movies with his horse Trigger. Of course, Dale Evans and his regular cast were always there too. Roy had another passion and that was motorcycles. When he could no longer ride horses, he continued to ride his motorcycles.